KotiLive-raportointiPoker Tours ListWSOP2011 World Series of PokerEvent #17: $1,500 H.O.R.S.E. After three days of grueling completion which saw 963 runners attempt to navigate the mine field that is mixed game play, we have crowned a new $1,500 H.O.R.S.E champion at the 2011 World Series of Poker. Aaron Steury has captured his first gold bracelet, along with a prize of $289,283 for his triumph, and while every WSOP championship is well deserved, this one holds a special meaning for the victor simply because of the sheer difficulty of claiming the title. The 24-year old Steury, of Fort Wayne, Indiana, defeated 35-year old Honolulu native Michael Chow in a spirited heads-up duel to earn the crowning achievement of every poker player’s career. With decorated professional players sprinkled throughout every table, each proficient in the five poker disciplines which comprise this event, Steury had to prove his mettle time and time again against the best in the business. World class players like Eli Elezra, Layne Flack, David Bach and Victor Ramdin all made deep runs but eventually fell short in their quest for gold and glory. Ramdin reached our final table but was eliminated in ninth place. 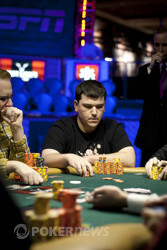 Steury bested eight other competitors during the mentally demanding final table marathon which lasted for more than five hours. To achieve this feat, Steury had to exhibit a mastery of Hold’em, Omaha Hi-Lo Split Eight or Better, Razz, Seven Card Stud, and Stud Eight or Better during three intense days of poker action. 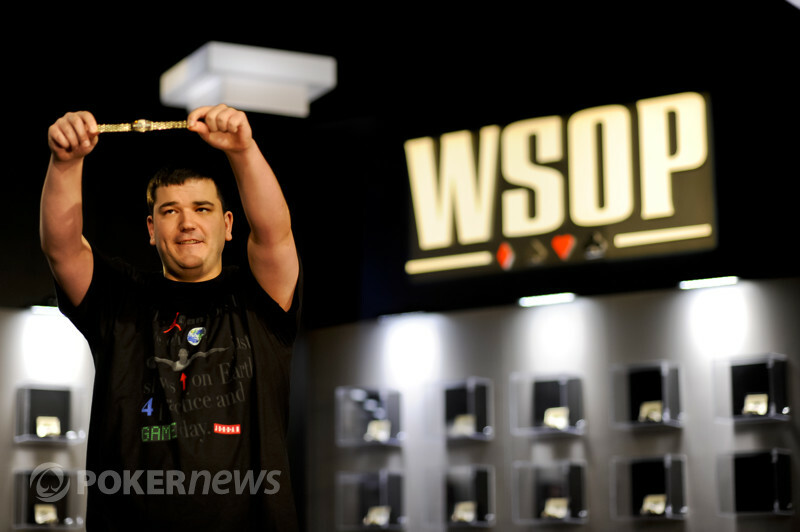 He will take home $289,283 for the win and his name will forever be etched in poker's stored history books. After a few alternating hands of completions, raises and folds, Aaron Steury raised it up with the showing and the in the hole. Michael Chow, who was extremely short stacked, finally made his stand with the showing and the in the hole. Both players stood as the dealer prepared to decide their fates. Steury's board ran out and his pair of aces did not improve. Chow was dealt the and he also caught no help. Steury graciously told Chow, "I'll flip my last card as soon as I get it so you know" and he turned over the with a flourish, leaving him with a lone pair of aces. Chow now needed to catch any three, five, eight, ten or jack to survive and stay in the contest. He squeezed his seventh street card extremely slowly, causing Steury to fidget a bit as he stood smiling in nervous anticipation. Eventually, Chow gave up the goose and showed Stuery the good news: . Twenty-four year old Aaron Steury of Fort Wayne, Indiana has taken first prize in this $1,500 H.O.R.S.E tournament, earning the gold bracelet and $289,283 for his amazing run through an immensely tough field. Michael Chow, 35, of Honolulu, Hawaii was our runner-up and will pocket $178,691 for his efforts tonight. Adam Friedman pushed his last 135,000 into the middle and was called by Michael Chow. Friedman was in very bad shape after his desperation shove and would need lady luck to smile on him if he was to survive this all-in confrontation. The flop fell [ and Mrs. Luck was nowhere to be found. Friedman stood up and packed his things, offering handshake to Chow in a show of class. Chow returned the gesture but it was apparent he wanted to see a brick on the turn to cement the win before he did any celebrating. The turn card fell and Friedman was offered a glimmer of hope. He could now catch a six and a six only to make complete his gutshot straight draw and remain in contention. His supporters began hollering for a six as the dealer burned and turned. 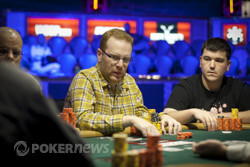 With that, Friedman's run had come to an end and he was eliminated in third place, earning $121,437 for his efforts. Chow climbed to 835,000 with the win and is still vastly outchipped by Aaron Steury as we begin heads-up play. Steury three-bet Friedman on third street and he made the call. Steury would not relent on fourth street and fired another 120,000 into the pot, which Friedman called. On fifth street, another 120,000 bet by Steury did the trick and Friedman mucked. This loss drops Friedman to only 280,000 chips, or just two and half big bets. Steury is pulling away now and holds 3,400,000 for a commanding chip lead. We missed the preliminary betting but after a bet of 120,000 on fifth street Friedman released his hand. 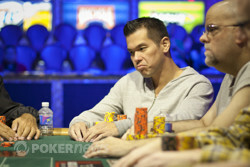 Chow chipped up to 800,000 while Friedman fell to 525,000 after the hand. Chow bet out on third and fourth streets and Friedman made the call both times. After another bet of 100,000 by Chow, Friedman raised to 200,000 but Chow could not be shaken even with two face cards showing. Friedman tried again on sixth street to force Chow's into the muck, with a bet of 100,000, but Chow called him down. On seventh street Friedman led out once more for 100,000 and Chow looked him up, tabling his down cards for a 2-3-5-6-J low. This was good enough and Friedman slid his cards face down into the muck. This loss dropped Friedman to only 500,000 chips, good for just five big bets, and pushed Chow to the 1,400,000 mark.